Stuart is planning on ordering some bits from Amazon for our little one at the weekend. what extras we will need to buy. as well as cord safety locks as all rooms in our home have blinds minus the bathroom and kitchen. We also got this gorgeous outfit set in Boots which I forgot to mention in my last haul. It has a sleep suit, vest and bib for £10. We chose to get it in 0-3 months and near enough have all neutral bits we need in that size now. The bib says "Just Perfect". as I am planning use cloth nappies. We went for this lovely bright giraffe, duck, elephant and frog design. separate. I paid £2.99 with 99p shipping from Amazon. We went to Milton Keynes shopping at the weekend just gone as Stuart needed to get some new shirts for work. So I asked him if we could go to the MKOne park and pop into Primark. lovely fleece blanket for £4. and as I know they have their baby and toddler event on still we picked up some lovely bits. since soothers easily go missing. of color and Stuart thought it be nice to have ones with a bit of color. We saw this Winnie the Pooh sleeping bag and fell in love. this one was one we couldn't pass up on. I think if we buy any more we will try ebay in the future as most I seem to have found cost brand new £20 +. 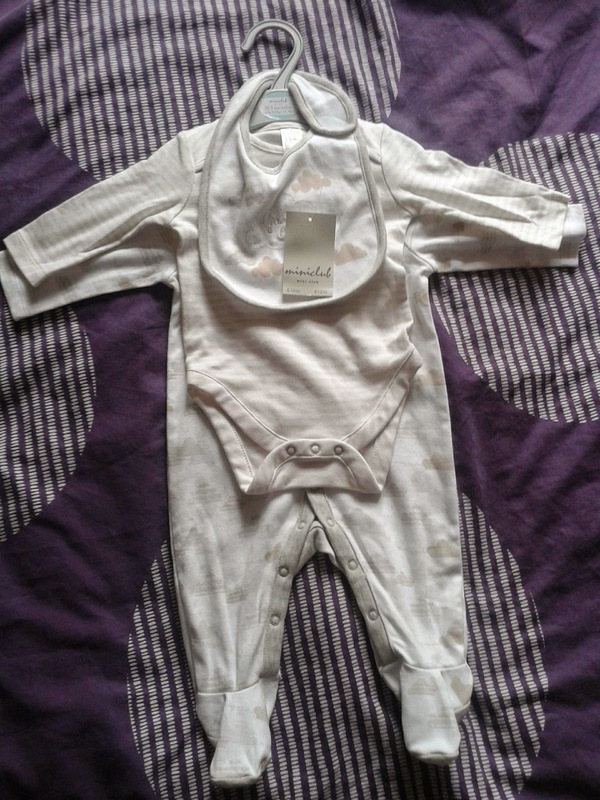 Last of all we got this little pack of 3 sleep suits for £7. We chose to get the newborn size. 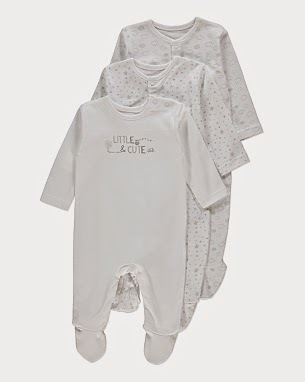 We love how one of the sleep suits says "Little and Cute". What do you think of my recent haul?